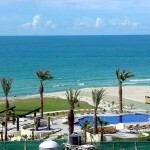 Mexican auto insurance for Rocky Point – Cruises To Rocky Point or Is Driving Your Best Option? You may not need Mexican auto insurance for Rocky Point if you arrive by cruise ship, but the completion of the city’s port is not expected until early 2017. Until then, the most direct route is by land, which will require Mexican insurance for Rocky Point. Whether you drive your own vehicle or a rental, you must have Mexican car insurance for Rocky Point when you cross the border. Fortunately, a Rocky Point vacation isn’t a big challenge in terms of paperwork. Although it is located in Mexico’s mainland, it is considered part of the tourist corridor. This means that you don’t have to register your vehicle and pay a deposit as you would for most travel beyond a border town. Additionally, a stay of less than 72 hours is acceptable without a tourist permit in the tourist corridor. If you will spend more than three days in the area, you should get your tourist permit just after crossing the border. However, you should take care of your Mexican auto insurance for Rocky Point while still in the U.S., preferably from your home or office computer. This will allow you to get quotes, evaluate benefits, and print proof of your Mexican insurance for Rocky Point before you leave home. Buying Mexican auto insurance for Rocky Point at the border can be a bit unpredictable, and because you need coverage to drive legally in Mexico, you may be forced to accept a sub-standard policy which will cost you more without even knowing that there are better options out there. Remember to carry proof of your Mexican car insurance for Rocky Point throughout your travels. Additionally, you should have your passports easily accessible as you travel. You might be asked for them as you enter the country, but you will definitely need them to leave. If you find that your long-term Mexican auto insurance for Rocky Point will expire before your trip concludes, you can purchase additional coverage online. You can also verify details online while you are in Mexico or print an extra copy if you misplace or lose your proof of coverage.